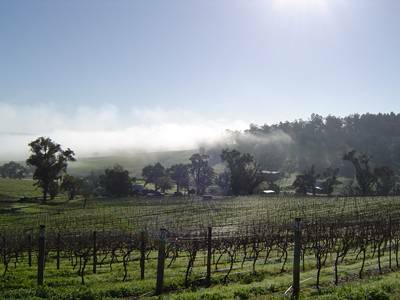 Less than two hours south of Perth, Geographe is the youngest of WA’s diverse wine regions. It was officially established in 1999 and takes its name from the ship of the French explorer, Nicholas Baudin, Le Geographe, which was engaged in mapping the west coast of Australia in 1801. The Geographe Wine Region stretches south from Mandurah to Busselton on the west coast and inland to Collie in the east. With such a large region the soil and climate are varied and the region naturally falls into four main areas. Harvey, the Ferguson Valley, Donnybrook and Capel. Wines from each area show considerable variation which makes visits to cellar doors an interesting experience for the traveller. Most of the vineyards are small, family owned enterprises with their owners extremely passionate about the area and its wines. The wine taster will find Shiraz, Cabernet, Zinfandel, Merlot and alternative varieties of Spanish and Portuguese wines available as well as excellent fruit driven and zesty whites such as Chardonnay, Sauvignon Blanc and Semillon.